The tuition and fees listed represent the charges for the 2018-2019 academic year. In planning for the following year, students should expect an increase in line with rises in institutional costs. NOTE: The Board of Trustees reserves the right to change fees prior to the opening of any quarter. *K Cash for all meal plans will carry over from term to term. However, any unused K Cash at the end of the spring term will be forfeited. Students can change their board plans up through the Thursday of the 1st week each quarter. All students are required to have health insurance. All international students are required to purchase the Kalamazoo College health insurance plan. A normal course load at Kalamazoo College is three units. If a student takes two or four courses, the tuition cost remains the same. Entering students will pay a fee deposit of $350 to reserve a place in the class; this also reserves space in a residence hall. It is credited against the bill for tuition and fees. New students will be notified of the due date for the fee when they are admitted to the College. All drafts and checks should be made payable to Kalamazoo College. Quarterly payments are due on or prior to the opening of each quarter. Bills not paid by the due date will be considered past due; students will be assessed a late charge of 1.5 percent per month on any past due balance. In addition, a registration hold will be placed on the student's account Monday of 6th week preventing registration for the following quarter. Lastly, the registration hold will become an administrative withdrawal from the college as of 5pm on the 1st day of the following quarter. The hold will be removed once the balance is paid or the student has made acceptable payments arrangements with the Student Accounts office. Transcripts cannot be released until all financial obligations are met. When a student chooses to withdraw from the College, we recommend the student start the withdrawal process with the Office of the Dean of Students. The student will receive useful information about separating from the College and in some cases will be advised to meet with a staff person from the Office of Financial Aid. Federal, Title IV financial aid will be returned to the U.S. Department of Education according to a federal mandated formula for calculating the amount of financial aid a student and school may retain when a student withdraws from all classes. This regulation uses a daily pro-ration of financial aid earned based on the number of days enrolled to the number of days in the term, including weekends and holidays. The school must calculate the portion of the total financial assistance that the student has earned and is entitled to retain. At the point where the number of days enrolled is at or greater than 60 percent of the term, there will be no return of federal funds. Mandatory fees, such as the Matriculation Fee and Student Activity Fee will not be prorated or removed. If a student receives more assistance than the student earns, the unearned funds must be returned to the applicable aid programs. An example of the calculation is if a student attended 50% of the term, 50% of the aid disbursed will be earned. The remainder or unearned amount must be returned. If a student unofficially withdraws, the last date of attendance determined by the Office of Financial Aid will be used to calculate the portion of the total financial assistance that the student has earned and is entitled to retain. At the point where the number of days enrolled is at or greater than 60 percent of the term, there will be no return of federal funds. Institutionally-funded scholarships and grants will use this same pro-ration method. A student's withdrawal date is the last date of documented academic activity as determined by the Dean of Students (official withdrawal) or as determined by the Office of Financial Aid (unofficial withdrawal). Further information regarding penalties for withdrawal from a study abroad program may be found in the "Center for International Programs" section of this catalog. Post-Withdrawal Disbursements: If the amount disbursed to the student is less than the amount the student earned, the student is eligible to receive a post-withdrawal disbursement of the earned aid that was not received. 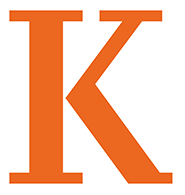 Kalamazoo College will disburse any Pell funds within 45 days of the determination that the student withdrew and disburse any loan funds within 180 days.Whenever possible, a student who receives any financial aid should attempt to consult with staff in the Office of Financial Aid before withdrawing. A student who successfully gains re-admittance to the College will be considered for need-based aid or merit scholarships under certain conditions. Reinstatement of need-based institutional, federal, and state aid is subject to application requirements and availability of funds. Students seeking reinstatement of institutional scholarships will automatically be considered for reinstatement upon official notice of re-admittance from the Registrar. If the student left in good academic standing and campus citizenship and still has remaining terms of eligibility, they will have their scholarship(s) reinstated.